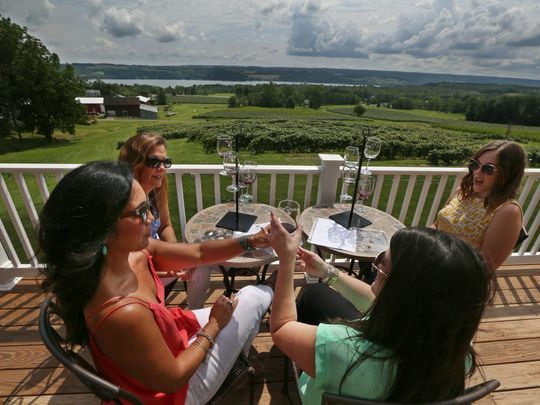 For five generations we have been growing and selling grapes from our beautiful Keuka Lake farm. 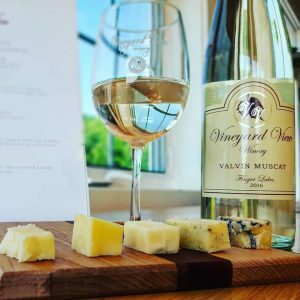 Vineyard View offers a selection of wines from dry to sweet. Come drink in the view and see why our family has enjoyed this area for so many years. Closed Easter Sunday, Thanksgiving, Christmas Eve, Christmas Day, New years Day. If you are traveling with 10 or more people we require a non refundable advanced payment of $7 per person maximum of 25 people. Please call in advance to schedule your tasting. Enjoy 5 pre-selected wines from a Dry flight or a Sweet flight. These are available in a 1 oz pour or 2 oz pour. Perfect for those that want to sit and enjoy the view. 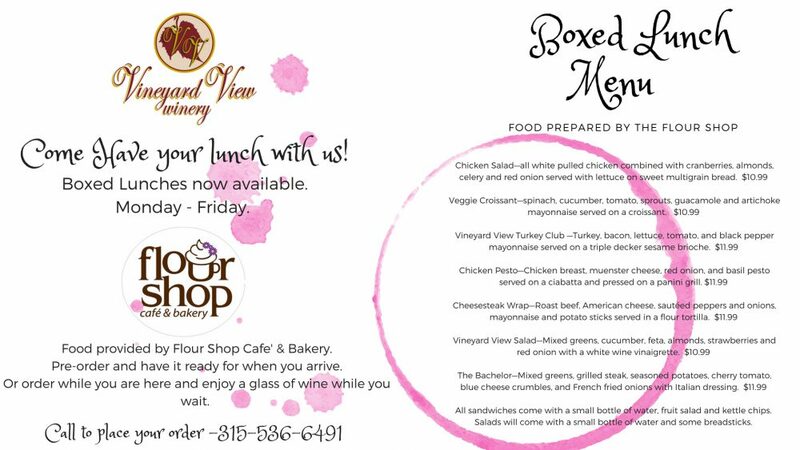 Come enjoy a delicious lunch provided by the Flour Shop while sipping some of your favorite wines. Just call ahead to place your order, or order while your here.